Glance up during a movie, concert or live performance at the Fox Theatre in Atlanta, and you will be dazzled by a gleaming starry sky. The man-made "sky’"projects 96 crystal stars and even clouds that drift, and this is only one of the many architectural features that make the Fox Theatre so fabulous. It opened on Christmas Day in 1929 to incredible fanfare and was designed and built to be grand and opulent, a decadent escape for patrons of the arts. That kind of opulence could not be maintained during the Great Depression, however, and the venue sunk into bankruptcy. The salvation and revitalization of the Fabulous Fox, as it is known in Atlanta, was a community effort. Over $3 million was raised to protect the theater, most of which came from Atlanta residents. 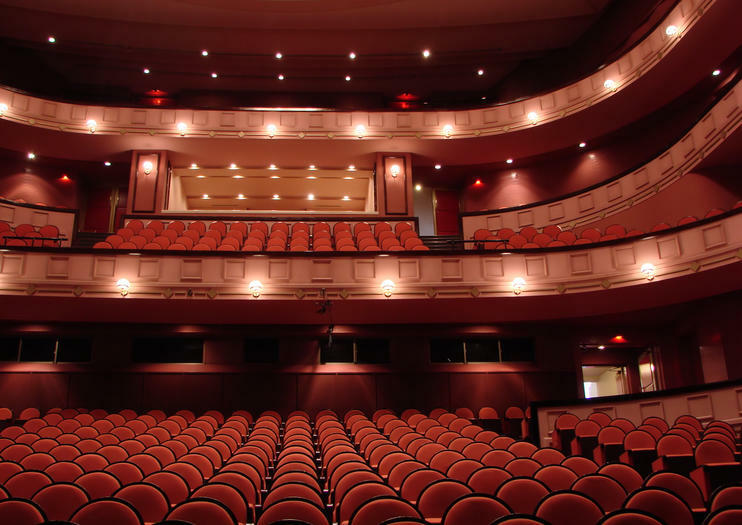 The site reopened in 1975 and today ranks among some of the country’s most notable not-for-profit performing art theaters. Today, patrons come to see world-famous productions, but they also come simply to lay eyes on the Fabulous Fox Theatre in person. There are two ways to experience the Fox Theatre: by buying a ticket to an event or show, or by taking a tour. The guided tour costs $18 for adults, with discounts for military members, seniors and children. Knowledgeable guides share the incredible history of the theater and point out its stunning artistic details. The theater shows movies throughout the year, in addition to live performances. We started this business because we wanted to reinvent the way you tour Atlanta. Our love for hospitality, customer service, Atlanta love and fun nature drove us to create this experience. We got tired of your typical sightseeing tour with just guides and rowed seating. You can relax comfortably in air condition while viewing Atlanta. We created a fun tour with local guides. We customized an airport shuttle into a 12 passenger party bus. We have lounge-style seating, state of the art club level speakers, BYOB friendly, three television monitors, and cool party bus lights!